Friends of the Hollywood Central Park (FHCP), a nonprofit organization dedicated to creating a 44-acre street-level park over the Hollywood Freeway in a densely populated and park-poor area of the city, accepted a $1.2 million gift today from the Aileen Getty Foundation. The donation, combined $825,000 from the city fully funds the park’s environmental study, a study needed before fundraising can truly begin for design and construction. For her part, Getty seems to grasp what a game changer the park could be to Hollywood. Despite a strong international brand because of the film and tourism industry, Hollywood, East Hollywood and the City of West Hollywood are among the most park-poor communities in L.A. County. Finding the funds to complete the EIR has been FHCP’s number one priority for years. Just last November, it seemed that funding was secured when the Community Redevelopment Agency (CRA) voted unanimously to fund the study. Of course, the agency was dissolved the next month after a court upheld a dissolution order from Governor Jerry Brown. Earlier this summer, the City Council played its hand. Led by LaBonge and Council Member Eric Garcetti, the Council approved the aforementioned $825,000 assuming the rest of the funds could be found. Today, a proud Garcetti gushed about Central Park’s potential and Aileen Getty. With funding secured, a bidding process can begin to select the firm to complete the study which, including public outreach, could take a couple of years. But given how long FHCP and others have fought, they’re willing to organize, reach out, and wait. The Park began as an idea more than 28 years ago. In 2006, it progressed from a Hollywood Chamber of Commerce initiative to a Hollywood Community coalition, with steadfast support from Garcetti and the CRA. Finally it culminated in the creation of the nonprofit organization, Friends of the Hollywood Central Park, dedicated to creating the Hollywood Central Park. 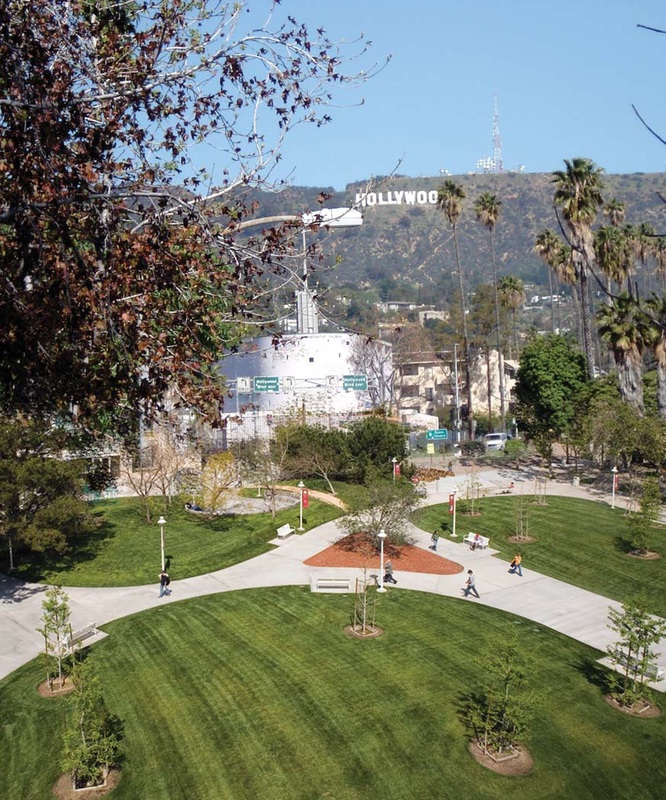 Friends of the Hollywood Central Park, created in December 2008, committed itself to raising funds to create a park atop e Hollywood Freeway as it travels below grade between Santa Monica Boulevard and Hollywood Boulevard. BRAVA!! Aileen and Laurie and Eric. What a great job.